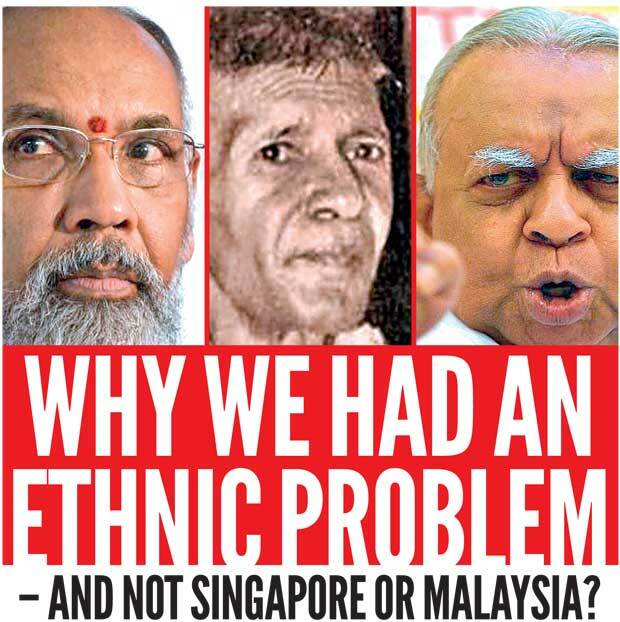 Daily Mirror - Why we had an ethnic problem – and not Singapore or Malaysia? Why we had an ethnic problem – and not Singapore or Malaysia? ri Lanka is now making a collective effort to seek national reconciliation. That would require concerted actions, through constitutional and administrative means, to address specific grievances of minorities. However, to begin that process, one should first have to distinguish between real and fictitious grievances. The problem in this country is that genuine grievances have been overwhelmed by a much larger set of perceived and inflated ones. The Tamil political leadership has historically been keener on the latter and therefore, any incremental effort taken, at least since the Sinhalese polity developed a compromising tendency beginning with the late 80s, to address minority grievances proved nearly impossible. Those maximalist tendencies of the Tamil political campaign later gave rise to a maximalist terrorist group, of which murderous campaign and predictable state reaction, as well as the former’s subsequent decimation have now created a fresh set of grievances. The question is not accountability per se, but CM’s skewed priorities. His duty owed to the ‘young militants’ (who were terrorists for the majority of the Sinhalese for obvious brutality of the former’s campaign) takes precedence over fixing those much complained about grievances, over which, we were repeatedly told, that the LTTE waged their war. The CM sounds frighteningly hypocritical. What the former Jurist is advancing is the same maximalist and expansive campaign that was recently abandoned by many other mainstream Tamil leaders. They witnessed first hand the disastrous consequences of that strategy. Now, what has provided the Tamil leadership with an opening to find and even to dictate means to address historical grievances is not Prabhakaran’s suicide bombers, but the cooperation extended by the Northern electorate to defeat authoritarian leaning ex- President Mahinda Rajapaksa. Instead of reaping the benefits of that goodwill, Mr. Wigneswaran insists on the pound of flesh. That helps no one, least the Tamils and only keeps the pot boiling for perhaps another upheaval. "Take for instance, Singapore or Malaysia, both have ethnic diversity akin to us, though the ethnic composition as a percentile may differ. Ethnic harmony in Singapore and Malaysia was achieved through the strict control of dissent, and in the former, also through tightly regulated ethnic quotas in community housing"
This Constitutional provision is in practice nothing more than a symbolic acceptance of the demographic reality, no different from the Queen of England being the protector of the Anglican Church. 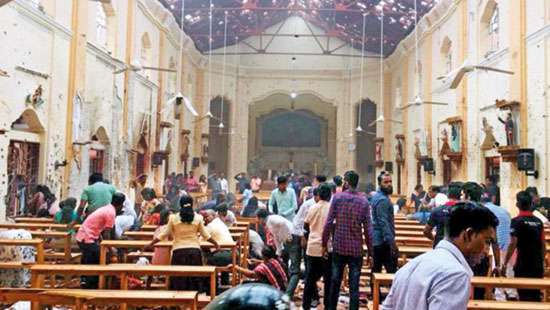 That had not barred other religionists in Sri Lanka from practising, proselytizing, mosques calling for prayers for five times a day in loudhailers, or regular religious processions and feasts of all religions. If one is worried about religious freedom, there are plenty of other places across the globe worth their interest. Of course, no place is perfect and we had issues and tension, but in any international comparison, they were minute. When there are excesses, such as the instances where the BBS was involved, the rule of Law should take the precedence. The problem of the past instances lies not with the religion, but with the state institutions that failed to implement the law. 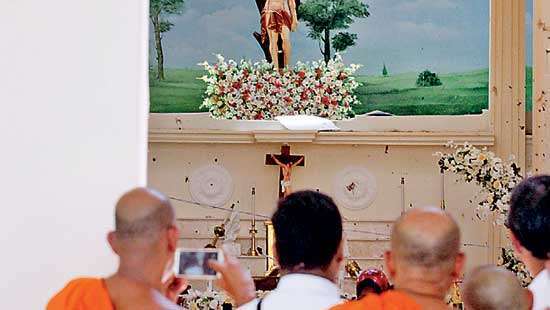 The Head of the Catholic Church in Sri Lanka Cardinal Malcom Ranjith himself says the place of the Buddhism in the Constitution ought to be preserved. And, those affected grievances over the issues such as the above stem not so much from the conduct of the religion, but due to the reluctance to accept the demographic reality. This, nonetheless, is a problem that predates the independence. Jaffna Tamil elites boycotted the first State Council elections, the first elections to be held under the universal franchise in line with the recommendations of the Donoughmore Commission in 1931. Though the idealistic Gandhian Youth of Jaffna who organized the boycott had been demanding the full Independence to Ceylon, Jaffna political elites had more immediate concerns: losing traditional privileges to the newly enfranchised Sinhalese majority. Same sentiments later led to G.G.Ponnambalam’s call for 50/50 representation. "There is a broad consensus that the ethnic relations in this country since the independence were a failure. 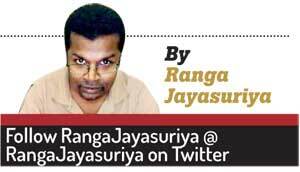 And Sinhala majoritarianism is habitually blamed for that." There is a broad consensus that the ethnic relations in this country since the independence were a failure. And Sinhala majoritarianism is habitually blamed for that. This is only a part of the story, perhaps the palatable part for many. But, how did we get there? To analyse ethnic relations in this country, one would have to see how the countries with the same demographic composition managed their relations. Take for instance, Singapore or Malaysia, both have ethnic diversity akin to ours, though the ethnic composition as a percentile may differ. Ethnic harmony in Singapore and Malaysia was achieved through the strict control of dissent, and in the former, also through tightly regulated ethnic quotas in community housing. Had S.J.V. Chelvanayakam lived in Singapore, he would have died an insolvent man, as did late opposition leader Jayaratnam, targeted by multiple liable law suits, one of many strategies that city state uses to keep dissent at bay. It would have been a tougher call in Mahathir Mohammed’s Malaysia or Suharto’s Indonesia. Minorities might have found certain laws such as the ‘Sinhala Only’ Act of post independent Sri Lanka were discriminatory; more so, when viewed from their exalted pre-independent positions. However, those were imperfect times. Jim Craw Laws were in place in the American South. Australia had ‘White Only’ immigration policies. However, none of those grievances in Sri Lanka warranted the extreme brutality the Tamil struggle metamorphosed, lately. 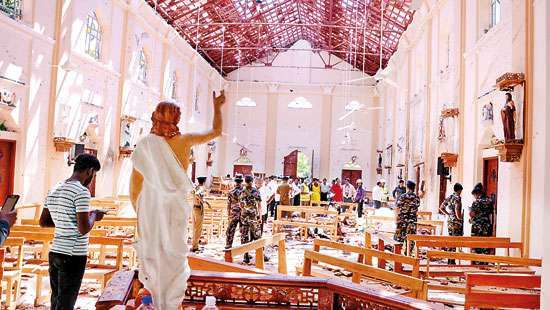 To suggest that once-a-while high-handedness of the State or an attack by Sinhala thugs led it to that point is self-serving bunkum. The more objective answer would be that there was freedom to mobilize and manipulate a receptive constituency. That space was virtually absent in Singapore or Malaysia. In any of those countries, passing the Vaddukkoddai resolution would have meant passing death sentence upon themselves.